Yes, Top Gear. Much has been said and written about it over the last few weeks. Mostly of the “bring back Clarkson et al” variety (an unrealistic and stupid position), or “it can’t last much longer” (a worryingly believable position, after series 23). I was tempted to weigh into the argument early on, but decided to wait until we were at least halfway through series 24 before spouting my tuppence. As it turns out, I do not fall into either camp. First, to set the scene: I am a massive Top Gear fan. I’ve watched it religiously since the late 80s, subscribe to the magazine and genuinely love everything about it. However, it really did lose its way from about series 20, seeming to forget it was a car show and being all about the hosts. Then came the debacle that was series 22, the departure of Clarkson, Hammond and May and the need to press the restart button. And so series 23 plopped onto our screens. 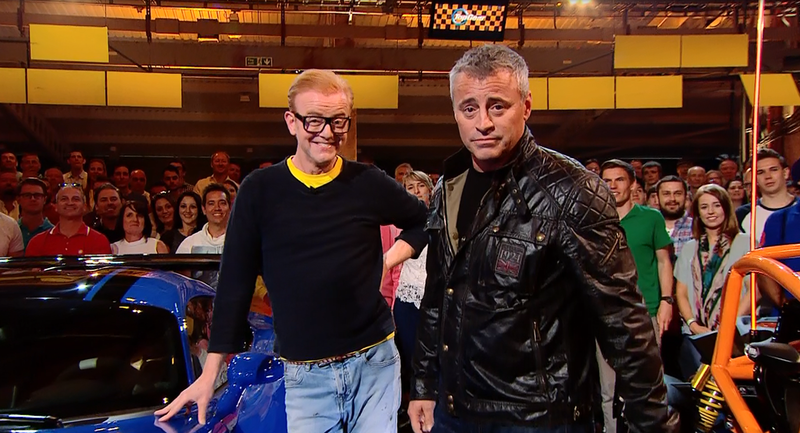 The bête noire of the Top Gear family (and rightly so), as a whole it spectacularly failed to deliver on the hype. Mainly because of Evan’s stilted and shouty delivery, a lack of new ideas and some spectacularly cringeworthy celeb segments. But there were glimmers of light. LeBlanc proved to be really likeable and easy to watch, Harris (as any true petrolhead already knew) was a wealth of talent and knowledge and Rory Reid was enthusiastic, amusing and great on camera. On top of that, some of the VTs rank among Top Gear’s best ever – I’m thinking of Chris Harris’ Aston Martin Vulcan segment and Matt LeBlanc’s review of the Ariel Nomad in particular. The chemistry between the new guys was a bit off, but watch early Top Gear and it becomes clear that Clarkson, May and Hammond took two or three series to really gel. One of the few things that series 23 generally did get right but everyone seems to ignore is that, by and large, it was about the cars, not the presenters. This was refreshing for a petrolhead like me. Much as I liked old Top Gear, Clarkson & Co. had started to believe their own hype and seemed to forget that this was a car show, not Last of The Summer Wine On Wheels. Chris, mate. Just stop shouting. We can hear you. To be honest, I felt sorry for Chris Evans. He seems to be a genuinely nice guy (from afar, I’ve never met him), he’s a massive petrolhead and huge Top Gear fan. He must have felt like Charlie winning the Golden Ticket when he was asked to take on Top Gear. I cannot imagine how gutted he is at the way things transpired. He certainly didn’t deserve the rabid and, at times, unnecessarily vitriolic reception treatment he got in the press and the car community. Anyway, once I heard that Evans was gone and there would be a return to a central trio of LeBlanc, Harris and Reid, I was overjoyed. Or at least terribly chuffed. Now it had a chance to be a proper car show again. But would they manage to seize the opportunity? After seeing four episodes (three broadcast episodes and I was at the filming for episode four), I can definitively say yes. Series 24 is a triumph. Top Gear is a car show again and it’s all the better for it. The VTs have been epic (the FXXK video was the greatest series opener I’ve ever seen), funny and laced through with a real love and respect for cars. No big egos, no cheesy rubbish or caravan-on-fire jokes. Just cars. It’s almost perfect. Almost. The chemistry in the studio needs a little more time to bed in (it’s significantly better in the VTs), but that will come with time. When it comes to the celeb segment, it’s still a bit awkward and too long, but I can totally accept this as necessary to draw in some of the non-petrolhead viewers. And the ideas appear to be flowing again. The change from a ‘Reasonably Priced’ to a ‘Reasonably Fast’ car (in the form of the GT86) was particularly inspired, adding speed and some genuine peril to proceedings. A couple of hundred horsepower, rear-wheel-drive and a frequently wet/greasy track do make for high entertainment value. The films have all been much more enjoyable than anything Top Gear has done for years too. This week there’s a race that you simply have to see. Obviously I’m not going to spoil it, but it’s one of the most epic, beautifully shot things I’ve ever seen. So yeah. I’m a very happy bunny. Top Gear is back, and it’s all about cars again. Thank you, guys. Thank you. They say it’ll be 3 hours. They’re lying massively. We got into the studio at about 2:30pm and didn’t leave until after 7pm. You’ll be standing the entire time. If that’s an issue, if you suffer from any kind of joint-pain, back-pain or disability but you’re not in a wheelchair, you may struggle to cope. They will throw you out of the studio if you so much as take your phone out of your pocket – 10 people were shamed yesterday. Because apparently idiots don’t learn, even after multiple warnings. You will not get to meet any of the hosts/guests or interact with them at all. Which is a shame, but I can understand it. You’ll get one short break of about 10 minutes halfway through filming where you’ll be herded into another hanger for tea/coffee/biscuits. Which are uniformly terrible. Presumably because of the unique way the BBC is funded. If you’re more than three or four people back, you won’t really be able to hear what the hosts are saying or see anything (for reference, I’m 6′ tall and have perfect hearing). New (new?) Top Gear is genuinely ace. The quality of the VTs, editing and the renewed emphasis on cars instead of personalities is brilliant. Seriously, watch it this Sunday – it’s a belter. LeBlanc, Reid and Harris seem to be developing a truly close bond. It’s a different tone to the generally acerbic, occasionally mean-spirited Clarkson years – friendlier, gentler and more approachable. Personally, I prefer it. The audience rocked up in some fantastic cars. There were multiple Ferraris, Lotuses old and new, Porsches of all kinds, an R8 or two, a BMW i8, a couple of lovely old classics and some real American rarities including a few Mustangs that actually managed to enter and exit the car park without crashing. It was ace spending time with so many fellow petrolheads. There was a real buzz and enthusiasm about the place that it’s difficult to describe. The studio looks great on TV, it’s utterly magnificent in real life. Highlight has to be that Countach. Althought Mrs Jalco would argue all day and night that it’s the 512TR. She’s wrong, naturally. I cannot imagine how difficult it is herding a few hundred people into, around and out of a studio. By the time all the camera equipment, lighting and security staff are thrown into the mix, the studio staff must be at the point of having a stroke. But if they were it didn’t show. Without exception, they were friendly, patient, good-humoured and generally made it a very relaxing day out. If you’re into television/film, it’s a great insight into how it works in real life. It ain’t all green rooms and massive riders, that’s for sure. On the day they’ll ask if anyone wants to stay for Extra Gear, which is a nice little bonus. You’ll need to be quick though, as there’s only about 70 tickets and they go very quickly. 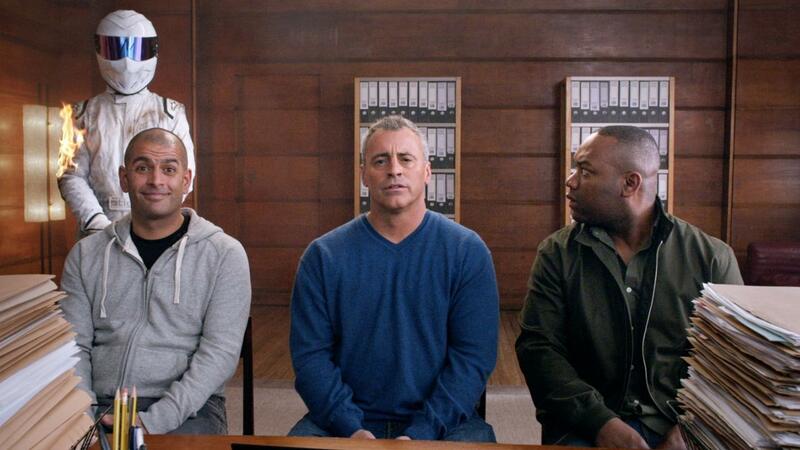 I’ve never seen anything as white as Matt LeBlanc’s teeth. Ever.